Rubber roof is a roofing material used for flat roofs. Normally, such a roof will last for as long as 30 years depending on the weather it encounters as well as how well it is maintained. The roof is an important part of any house as it can make life unbearable, especially when the quality of roofing materials is compromised. It can be extremely irritating; especially during the rainy season if there are leaks in the house. Materials used in rubber roofing are resistant to a variety of elements, hence last longer compared to other kinds of materials. They come with warranties and therefore you will have nothing to fear in terms of making a loss. The roofing company you choose to go for can do all the purchasing for you and even give you the warranty you need for the materials, guaranteeing you quality. The lifespan of any roof mostly depends on how well it is installed meaning that it is important to hire a professional roofing contractor. 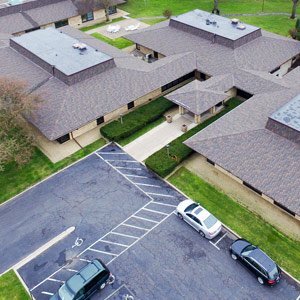 There are a great number of rubber roofing Services Minneapolis which can make it difficult for you to choose the best. When looking for rubber roofing services, always go for skilled workmanship you can depend on. The service provider should be in a position to give you value and even advice you on what to go for. The prices also matter a great deal as there are those who will offer low prices and end up doing a poor job. Prices which are too high should raise caution as well. Hiring a rubber roof contractor will save you a lot of hustle and stress that you could have otherwise gone through when making all the choices by yourself. The first thing they do is inspect your roof on site and probably come up with a probable budget. You and the experts should then sit to ensure that you are reading from the same page in terms of all your roofing concerns before undertaking the process. A professional rubber roofing services Minneapolis contractor can offer you three different services. These services include the following. New roof installations – A carefully picked expert can set up a new roof on a building that is in the process of being constructed. 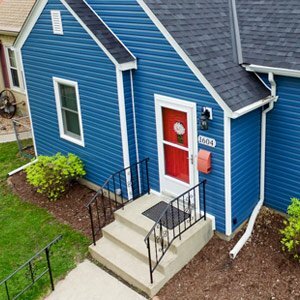 To prevent roofing issues after your construction project is finished; make sure that you pick a professional who has ample knowledge and experience in different rubber roofing techniques. Houses have different architectural designs and yours is not an exception. For this reason, you should select a roofer who has done many successful installations on new buildings. Discussing the issue of price with different experts until you find the one who can offer you a budget-friendly service is also imperative. Rubber roof replacement – There is no roof that lasts forever including rubber roofing. If you want to remove your current roof, and replace it with a new one, you should do it before it is too late. Do not wait until your roof starts to leak, as water damage can trigger other unnecessary expenditures. Although it may still be repairable, there may come a time when annual repair work would become too expensive. So, if your roof has depleted its useful life, do not try to repair it anymore. Gather some money to buy new materials and then find an expert roofer to help you. Roof repair and maintenance – Although you might know something about rubber roofing, a thorough inspection is considered necessary to determine whether a repair job is adequate. An inspection exercise can expose a lot of roof problems that may not be adequately solved through repair work. If your favorite roofer thinks that your roof is beyond repair, buy their replacement service instead. If your roof is repairable, ensure that you begin the maintenance work as soon as possible. Postponing a repair project is not advisable as the damage could worsen, and you may be forced to do a costly replacement work. Most contractors can hire for residential and commercial rubber roofing projects. They usually begin their service by assessing the degree of roof deterioration and foreseeing probable roof defects. These experts could discover hidden faults such as invisible caulking gaps, inappropriately sealed laps and other issues that could make your roof leak. With consistent professional inspections and monitoring of your newly replaced roof, however, you can delay another replacement or repair project. Click here to get more information on Questions to Ask When Getting a Roof Estimate.